DeLena Ciamacco: The Real Estate Expert: NEW LISTING IN MILFORD CENTER! 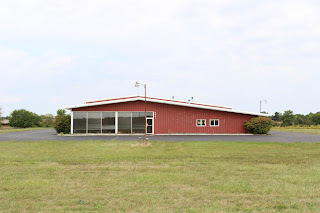 Former Massey Ferguson Assembly & Sales building/machine shop with over 11,500 SF on 5.2 acres. Building includes front showroom, offices, men’s & women’s bathrooms, assembly/parts room, conference room & large equipment maintenance building with blowers, exhaust tubing & 3 overhead doors. Close to many major arteries. Steel building with asphalt parking for 50+ cars! Only $349,900! Call DeLena Today!